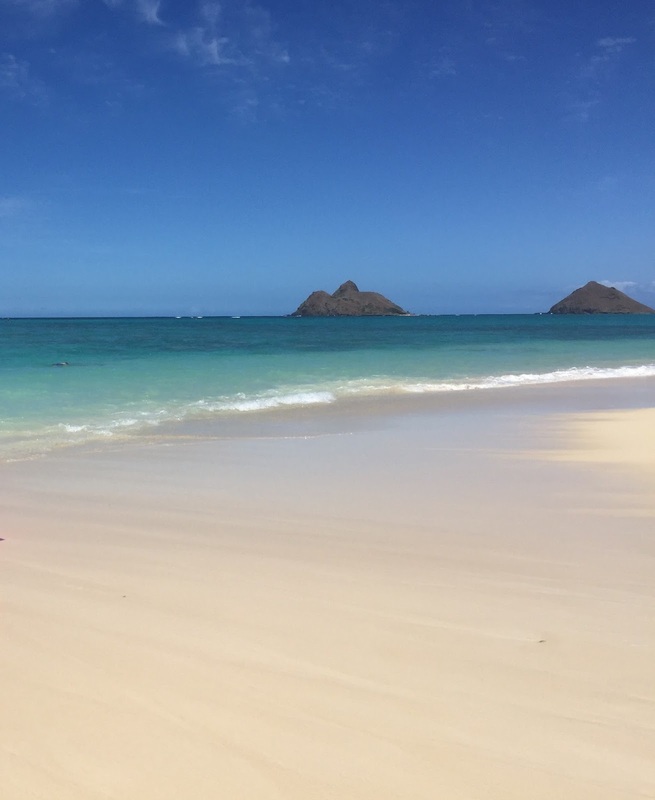 On a recent family vacation to Hawaii, we came across what I would call the most beautiful beach I have been to, Lanikai Beach. We decided to vacation in Oahu for our first trip to Hawaii, staying in Waikiki, Honolulu. The best part is that we rented a car and were able to drive around the island. Although we did end up fitting quite a lot in our week long trip: parasailing, luau, visiting turtle beach, dole pineapple factory, driving around the entire island etc. 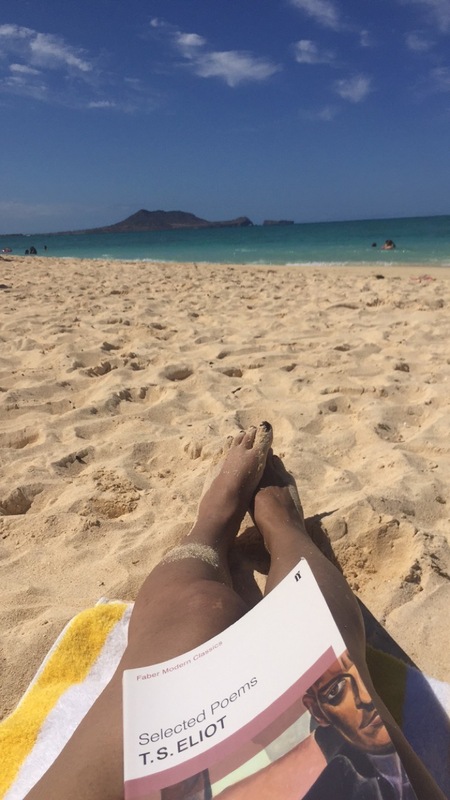 My favourite day during the entire vacation would have to be the entire day we dedicated to spending time at Lanikai Beach. This is a "best kept" secret destination on the island of Oahu. 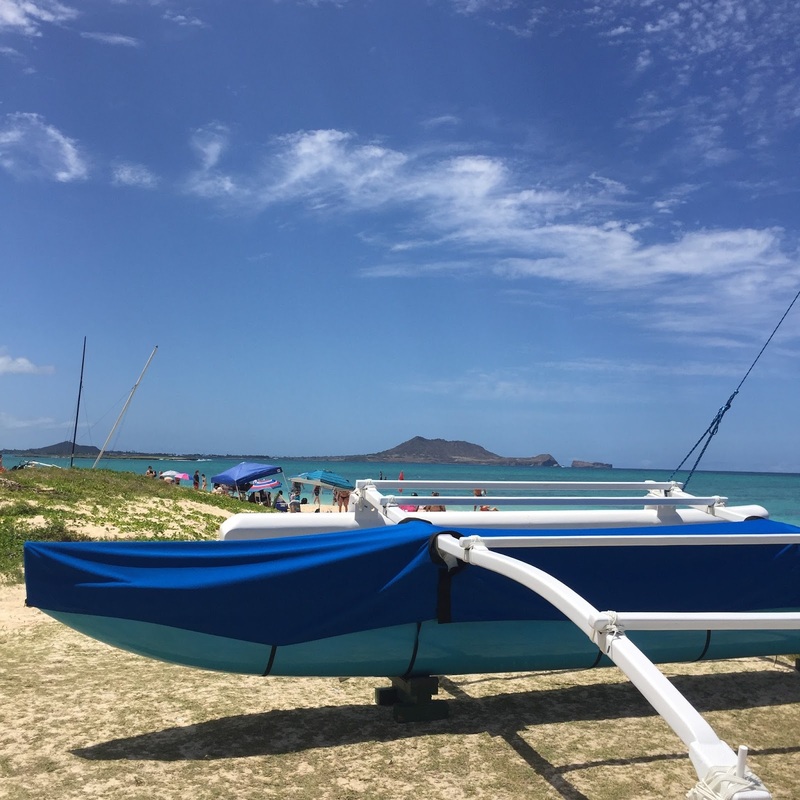 Located in the small community of Lanikai in the town of Kailua, it's the less visited beach than it's popular tourist sister beach which is adjacent to it: Kailua beach. 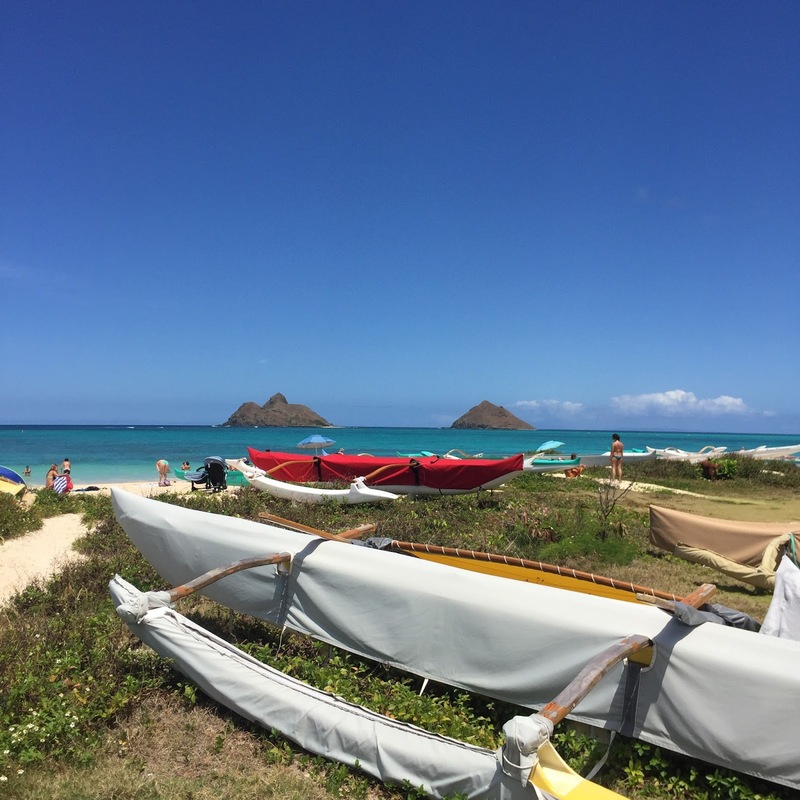 Lanikai means "heavenly sea", and let me tell you it really lives up to it's name! It is consistently ranked as one of the most beautiful beaches in the world, and for me personally it has been the most beautiful beach I have visited! It's great because it's a small beach, in a quiet location, nice and secluded and not overrun with tourists. We spent an entire day there. Relaxing on the beach on the beautiful sand. And then venturing out into the water, where we ended up spending most of our time on our little floaties (floatation devices). It was such a fun carefree day. The sand was soft, so fine and almost white. The water was a turquoise blue, clear and nice and warm. The sky was a nice blue. We left with our souls nourished, burnt skin, and lots of fun memories. The photos below, really don't do it justice, but it is a definite bucket list addition for those that haven't been.